Have you seen the Brompton road store window display? Cause we have and it’s pretty damn awesome… Dior has paid homage to Britain’s cultural icons. The ‘Dior experience’ is available across Harrods with Dior cupcakes in the food hall (yum) and nine Dior highlights exhibited on the forth floor. 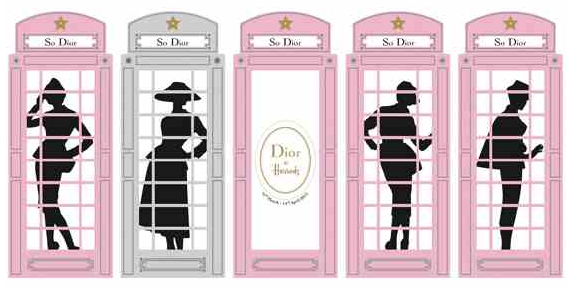 Coming soon Harrods will also be exclusively selling Dior’s new makeup range inspired by Christian Dior’s love of England. We can’t wait!